We have all been the new girl (or guy) at work before. You’re a little afraid and excited, and at the same time you stayed up a little too long the night before as you let your nerves get the best of you… sound familiar? There is an eagerness to learn and be helpful, but you also are stuck trying to navigate those workroom norms while somewhere in the back of you’re head thinking — what have I gotten myself into? Well, that was me about a week ago as I entered DFSCC’s doors. We often use the phrase “When you dress well you test well” and I find this so applicable here. When you feel your best, you radiate confidence all around you. All of us here at DFSCC have our own unique style that we showcase in different ways. Self Care does not just refer to hygiene and personal presence, but in making sure that our mental health is as strong as our physical health. For some, this may be working out or reading a book to get some peace of mind after a long day of work. But in regards to the work place, having an honest discourse between everyone and transparency regarding all work matters leads to ease and more productivity. In life there are some things we are good at and some. . . not so much. In that same regard, there are some things we like to do and some. . . not so much. One of the things we are able to do here at DFSCC is explore both sides of the spectrum. On my first day of work Dorothy told me something that really resonated with me. She noted that we are often placed into boxes depending on age, race, gender, etc. and that because of that the tasks we are ‘good’ at often become the only tasks we are allowed to do. Many times we become trapped in this cycle and may never really experience our full potential. 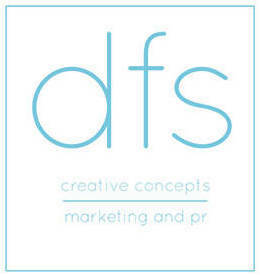 From writing to designing to working on event days, we are able to dip our toes into a little bit of everything here at DFSCC experiencing what we love in a new context, and usually finding something else that we are ‘good’ at. Whether it’s a shout out on our Instagram page or a one-on-one with Dorothy, there is plenty of love and gratitude to go around. I’ll be the first to admit that even though I’d like to think I am Wonder Woman, many days I find myself enlisting the help of my colleagues or Dorothy to complete a task. Though we are a super diverse crew, together we are family. And Dorothy reminds us all of this everyday. As you can see here, I survived my first week. But, I can easily say that I didn’t just survive. I was able to thrive due to a work environment that allows for independence and creativity cultivated by the OG #GirlBoss Dorothy. So here is a shoutout to our fearless leader you inspire us daily. Thank you for pushing us to exceed expectations in our work, to keep calm in the craziest of of situations and to always add a little flare in everything we do.